Ice creams are famous for their sweetness, quality and high-end image. 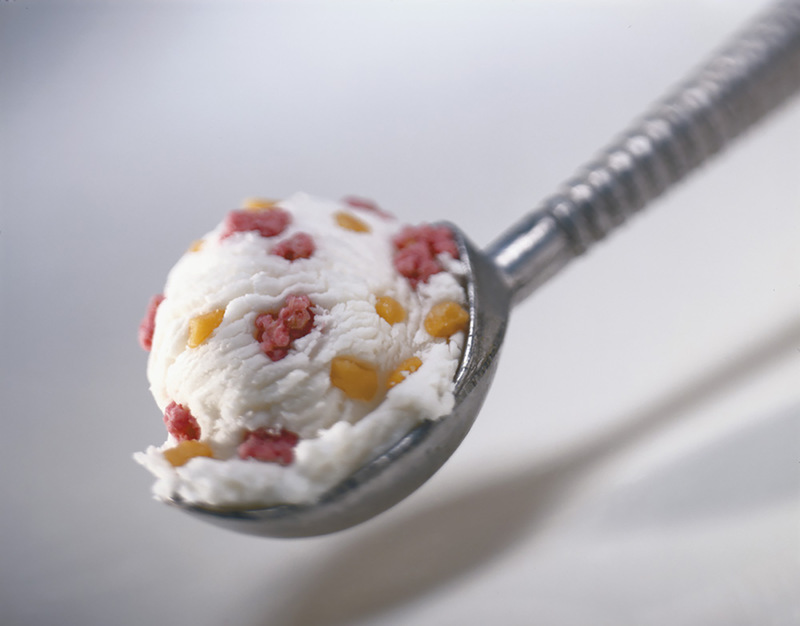 Ice cream can be enjoyed for a special occasion or simply as a treat. This sector’s development is accompanied by original, high quality and appealing inclusions and decorations to awaken the consumer’s senses. We are working with the main ice cream manufacturers (industrial and artisan) creating top quality candied/semi-candied fruits, fruit centres and fruit pieces for applications like ice cream cones, ice cream desserts and others. Combine the sour cherry purée with the lemon juice. In a saucepan, prepare the syrup by boiling the water with the sugar, then leave to cool. Combine the Amarena cherries with the syrup, mix well then add the sour cherry and lemon mixture. Put it all in the ice cream maker. Pour the Kirsch in when the sorbet is nearly finished. 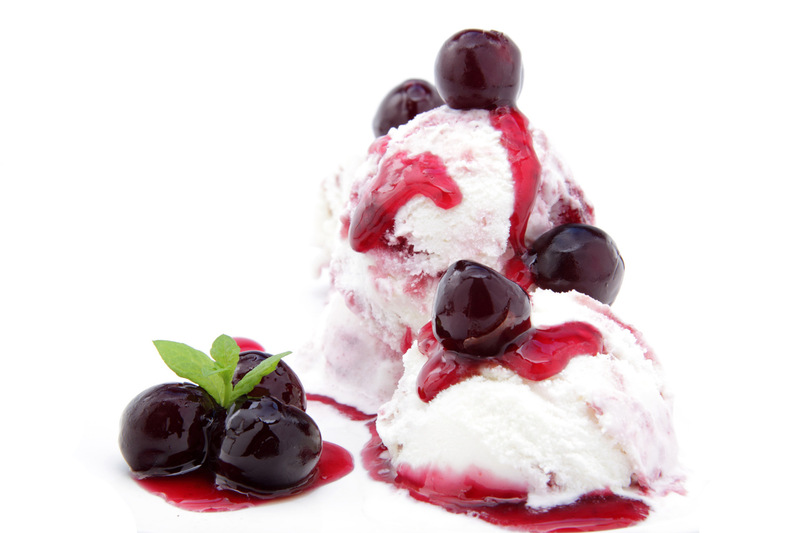 Scoop into balls and serve in a dish with fresh fruit or Amarena cherries. Start by separating the eggs. Put the whites in a bowl. Add a pinch of salt. Whisk the egg whites with an electric whisk until firm. In another bowl, combine the yoghurts, sugar and crème fraîche. Carefully fold in the beaten egg whites. Cover the bowl with film and freeze. Sprinkle the ice cream with mango and lime pieces. Freeze 3 hours before serving.